By Megan Graham . Published on December 04, 2018. Martin Sorrell's S4 Capital says the much buzzed-about potential acquisition of San Francisco-based digital media and programmatic consultancy MightyHive is on — announcing early Tuesday a deal valued at $150 million. S4 — whose stated focus is on digital creative, digital media buying and planning and first-party data — said in a London Stock Exchange U.K. regulatory disclosure that programmatic advertising spend is seeing significant growth and that MightyHive is "well-positioned to capitalize on the digital transformation and disruption of marketing." MightyHive saw revenue increase at a compound annual growth rate of 129 percent from 2015 to 2017, S4 said. 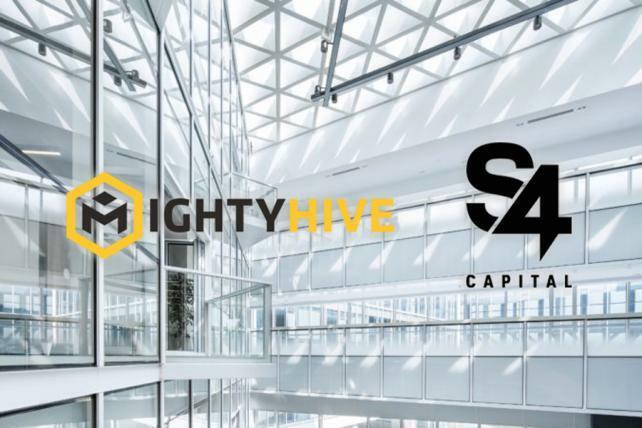 MightyHive will become a wholly owned subsidiary of S4 and CEO and co-founder Pete Kim and COO and co-founder Christopher Martin will join the S4 Capital board of directors while remaining in their day-to-day roles at MightyHive. Six-year-old MightyHive — which has offices in New York, London, Singapore, Toronto, Stockholm and Sydney — realized about a year ago it was going to need a partner to grow at the clip it desired, Kim says. MightyHive says its hundreds of clients include OpenTable, Sephora, Sprint and US Bank. Kim says the company aims to help agencies and advertisers modernize themselves for a new era of digital marketing. MightyHive provides consulting and services in the realm of media operations and training, data strategy and analytics. Sorrell tells Ad Age that S4 knew of MightyHive's reputation in the digital media buying and planning realm and threw its hat in the ring for a potential deal a few months ago — which became a "complex and demanding process," he says. Along with MediaMonks, the Dutch digital production company S4 announced it would acquire five months ago, Kim says he saw the "very, very strong appeal" in the prospect of marrying creative and media within S4. "We really see the long-term benefits and potential of really powerfully recombining these things," Kim says. S4 has an operating model in which it has a single profit-and-loss statement, rather than fragmented P&Ls across different businesses, and Sorrell says its elements will work together to feel more unitary than a traditional holding company or parent company. Sorrell's access to major clients is likely attractive to an ambitious entrepreneur, said Julie Langley, a partner at M&A adviser Results International, in an emailed statement. She said MediaMonks and MightyHive are "highly complementary businesses" that will bring together digital-first content with digital-first media buying. Langley added MightyHive also helps clients wanting to bring in-house certain disciplines, a trend that's been widely discussed in the industry. To fund the cash component of the deal, S4 plans to raise £74 million by issuing new shares. The company said in the disclosure it expects the admission of new ordinary shares and the completion of the merger to occur on Dec. 24, 2018. New capital raising will be led by Stanhope Entrepreneurs Fund, a growth-capital fund whose founder and CEO will join S4's board upon admission. The company added that MediaMonks executives Victor Knaap, Wesley ter Haar and Peter Rademaker have been appointed as S4 directors. Kim and MightyHive's Martin have been appointed S4 directors conditionally. As for what's next for S4, Sorrell says a key step will be deepening the client base it will have between MediaMonks and MightyHive. "The real opportunity is organic growth," he tells Ad Age. "We will succeed or fail on the basis of organic growth." Sorrell says S4 has "three quarters to seven-eighths" of what it needs at this point. Geographically the company has a number of target areas, he says and while MightyHive and MediaMonks have some separate geographic footprints, "[there are] some very strong geographical synergies that we can get by bringing the two businesses closer together," according to Sorrell. In terms of further acquisition opportunities, Sorrell says he'd like to see S4's content and digital media buying and planning businesses further developed, along with first-party data. He said first-party data is very difficult to find and expensive but important. "In the meantime, we'll work with very significant clients who have strong databases and first-party data to develop their data," he says. Sorrell continued his long-running "peanut" joke in the acquisition disclosure. In public appearances and interviews, Sorrell has previously described S4 Capital as a "peanut" in comparison to WPP to insinuate that it is not in competition with the company he previously founded, grew for decades, and then exited following an internal investigation. "The merger with MightyHive marks an important second strategic step for S4 Capital. The peanut has now morphed into a coconut, and is growing and ripening," he said.